If you want to build wealth it's going to require time and knowledge. There is no get rich quick method. There are a few ways to begin building wealth. Building wealth involves a unique combination of passive income and active income. Can You Build Wealth Using Active Income? Active Income is income you earn based on your own personal efforts to make money by exchanging hours for dollars. It is the income that comes in when you are actively earning it, but ceases to exist when you stop your earning activity. That means, if you work you get paid. If you don't work, you don't get paid. So simple that the majority of humans follow it and exchange their hours for dollars. For example, you could stand around for 4 hours, pass out samples, and make $200. Or, you could work as a cashier for 4 hours and make $40. Your choice. Both provide active income. I first read about the rat race in Robert Kiyosaki's book Rich Dad, Poor Dad. In the book Kiyosaki describes the cycle of working for money that leads to nowhere, kind of like a rat running on his spin wheel inside his cage. Working for money and exchanging hours for dollars is the hardest way to make it out of the rat race, and often it's near impossible. This is because once you are in the rat race you spin your wheels to try to maintain or advance your lifestyle and you often create more debt to do so. Those in the rat race may not know how to get out because they do not know how to use assets and instead they keep creating liabilities. If you have not read the book Rich Dad, Poor Dad by Robert Kiyosaki, I recommend it as a must read just to understand the basics of how you must think to build wealth. See all of my recommended books for personal financial success here. Most people are not ready to stop working for money, me included. In the meantime, you can begin building cash for your portfolio. In one of my favorite money books The Richest Man in Babylon by George S. Clason, one of the characters, Bansir, seeks help from Arkad, who is the richest man in Babylon. Arkad advises the man to pay himself first. Each time he makes income, he should set aside 10% of that income. That way, when an opportunity to invest comes his way, he will be ready. Bansir follows Arkad’s advice and was able to invest in a business venture that provided him with passive income. It is very difficult, if not impossible, to grow a profitable portfolio without income. Setting aside 10% of every dollar you earn will allow you to grow your investments consistently. Can You Build Wealth Using Passive Income? Passive Income is income that not based solely on your ongoing efforts. It may be a recurring income stream from a one time job, like royalties for a singer, or recurring income from a business that you own. 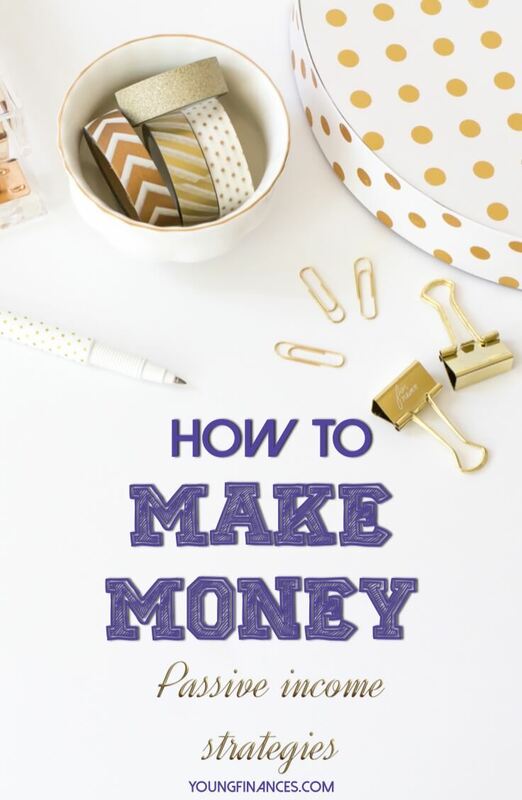 You might write a book and earn a commission each time someone buys that book. When you can stop trading hours for dollars and receive dollars even without giving up hours, you will have passive income. Believe it or not, growing a blog is a way to generate passive income. This is one of my favorite ways because I created this stream of income right after college. In order to do be a successful affiliate income generating blogger, you have to create content that converts readers into buyers. Or, you must simply put content in front of a buyer. To get approved for affiliate relationships, you have to make sure your site is properly set up. And in order to maximize your affiliate income, you have to approach sales in a certain way. It's not complicated, but it does require some education. The learning curve is steep. Dividends can help you to make passive income. Some companies issue their stock with a dividend attached. If you own the stock, they will pay you directly in cash, or additional shares, from the earnings that they make for that quarter or year. If you have the right stocks you can also benefit from price appreciation. Ready to start investing? Take this quiz and find your investing compatibility match. The stock price and your overall portfolio will increase when the company does well. And even if the stock price declines, you will still receive the dividend as long as the company does not cancel it. Some investors will not purchase a stock if it does not come with a dividend attached. When I say teaching, I don't mean standing in front of a class. That would be considered active income. Instead, you should figure out what you're good at then create a course on that topic. You can then sell that course over and over again. And each time you make a sale, you earn income. When you are actively marketing your course it's not considered passive income. But if you sell your course through a platform where a buyer can browse and find your class, then it's considered passive income. Most investors use a combination of passive income sources to diversify their risk. It is highly risky to depend on the cash flow from a course, dividend paying stock, or blog only. Passive Income and Active Income. The two main ways to build wealth mean you'll either be using active income or growing passive income. Those who use active income to build wealth will find that there are simply not enough hours in a day to trade for the wealth that they want. They will continue to spin their wheels in the rat race until they give up in frustration. The smart investors that learn to use passive income to build wealth will see their net worth grow with less and less work on their part. Building a profitable portfolio with passive income investments is the key to building wealth. That might be an income producing blog, a course that you've created, or a portfolio filled with dividend stocks. That is why I recommend starting with your personal goals. What do you want your finances to look like? In order to become a financial success, you have to invest in yourself and be willing to learn. Now it's your turn to choose. Will you build wealth using passive income strategies? Or will you stick with a job that requires active hours for you to earn? If you're determined to earn more money via passive income, then you're in the right place. I'm going to show you exactly how to do it.